Fog City News, Market St. between 1st & Fremont, downtown SF. Lots of bar chocolates; some bonbons & truffles. 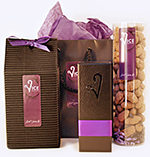 Local chocolatiers carried include Michael Mischer, Recchiuti, Guittard, and Richard Donnelly (Santa Cruz). They have a frequent buyer club: Buy 10 bars, get the next one free. Chocolate Covered, 4069-24th St., between Noe & Castro, Noe Valley neighborhood, SF. 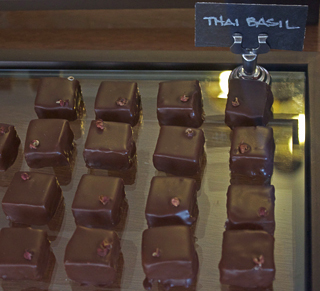 A world of chocolate, lots of exotic flavor combinations, it carries local chocolates too. Bi-Rite Market, 3639 18th St. (between Guerrero and Dolores), Mission neighborhood. Neighborhood grocery store with an emphasis on local and sustainable foods. 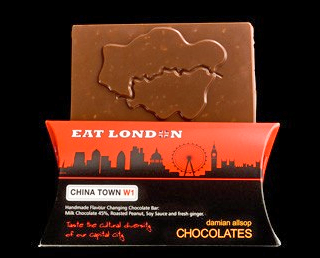 Has an excellent chocolate selection featuring many local chocolatiers. The Chocolate Dragon Bittersweet Café & Bakery, 5427 College Avenue, Rockridge neighborhood, Oakland. In addition to their hot chocolate drinks and pastries, they carry their own Bittersweet brand of chocolate and some other local chocolates like Poco Dolce. Star Grocery, 3068 Claremont Ave., between Prince St & The Uplands, Claremont neighborhood, Berkeley. Like a mom-and-pop version of Whole Foods, this locally-owned store carries some local chocolates, such as Vice Chocolates (Oakland) . Piedmont Grocery, 4038 Piedmont Ave., between 40th St & Glen Ave., Oakland. Nice selection of imported chocolates, some local chocolates too. Draeger’s Market, 222 East 4th Avenue, San Mateo. 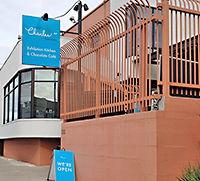 The south of SF place to go for a variety of local chocolatiers in one location. Date posted: January 28, 2010. This entry was posted in Chocolate tours, East Bay chocolate, Local chocolate, Recommended chocolatiers, San Francisco chocolate, Update and tagged artisan, Bi-Rite Market, Bittersweet Cafe, Charles Chocolates, chocolate, chocolate club, Chocolate Covered, Cocoa Bella, documentary, Draegers, East Bay, Emeryville, Fog City News, free chocolate, Guittard, Michael Mischer, Oakland, Piedmont Grocery, Recchiutti, Richard Donnelly, San Francisco, Santa Cruz, Star Market, truffles, Vice Chocolates. Bookmark the permalink.